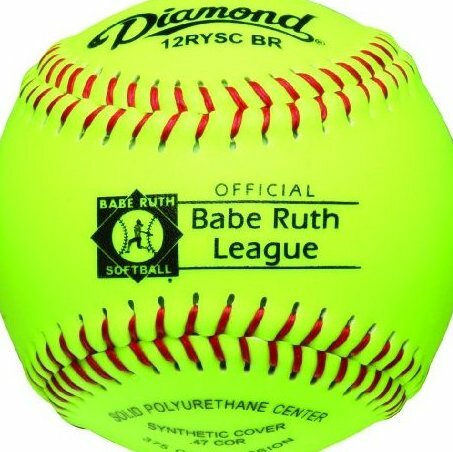 12" Babe Ruth fastpitch softball. Polyurethane core. Competition grade fastpitch softball. .47 COR 375 Compression Optic yellow Super synthetic cover.